Bitdefender is the top name in the Internet Security business. Bitdefender's antivirus has outmatched all the rivals including Kaspersky, ESET and McAfee in the recent third party Lab tests. Many of the internet security providers had come up with many softwares dedicated to Windows 8 Operating System recently, but Bitdefender Windows 8 Security is the only Security package which is completely designed for Windows 8 only. The main addition to Bitdefender's Windows 8 Security is the compatibility for Microsoft's new Early Launch Anti-malware feature, which allows the program to launch before other boot drivers and can inspect them for protection. In addition, the program can also check your Windows 8 applications for security issues, and adds with the Security Center to keep you in touch with your system's security issues. The Main UI of the software as it is fully compatible with Windows 8 is also has the modern Windows 8 Metro UI look. Bitdefender makes its product easy for the user and access all features from Main UI. You can access all features of Antivirus, Privacy, Firewall from the Main UI. All the issues and warning can be seen from the Main UI which is quite well managed and arranged. It Uses Early Launch Anti-Malware (Elam) technology which prevents your system from dangerous malware trying to infect your computer at Windows 8 startup. It automatically analyses your Windows 8 applications and informs you when one has been compromised or suspicious activity takes place. Bitdefender is integrated with the Windows Security Center and continuously keeps you up to date of the security of your PC. You will experience the antivirus product you've always sought - a high scanning speed, top anti-malware protection and a streamlined experience. Stay connected to your device’s security from any Internet-connected device. MyBitdefender allows you to see security status, fix security issues and initiate scans on any of your Bitdefender-protected devices. The Dashboard includes the option to update your Bitdefender and Registration. It also contains Remote management, Safe box option, Anti theft, Parental control and safe-go for Social Networking websites. Personal data filter prevents critical data, such as your social security number, from ever leaving your computer. It blocks websites supporting various scams or credit card phishing attempts. It keeps your conversations private on Yahoo! and MSN Messenger. It is a secured Internet browser by Bitdefender which provides protection from intruders and hackers while you are operating online banking and e-shopping pages by opening them in separate secure browser. It provides an interruption free experience by making optimal security. Autopilot is something that takes decisions automatically, without asking each and every small thing from the user. Hence, it is very important for basic users who don’t know much about computers, and often get confused after seeing the dangerous virus warnings. Immunizes all flash drives and other storage devices so that you don't have to worry about USB infecting your systems any more. Windows 8 security blocks improper content, allow you to limit web access between specific hours, and helps parents remotely monitor their children's online activity. Bitdefender Security for Windows 8 provides five different Scan options to choose from i.e Quick Scan, System Scan, Custom Scan, Vulnerability Scan and Rescue Mode. This Security suite costs $74.95 for license of a year which is applicable for 3 PCs. 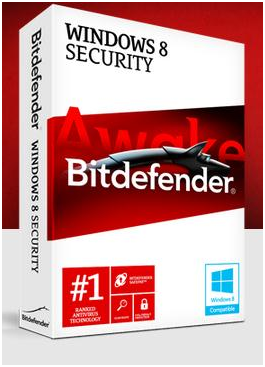 You can also give a try to other Bitdefender products which helps you in providing enhanced security to your system. Checkout other antivirus downloads from Bitdefender. Bitdefender is on top in security. But i am sticking with Avast Free Version...as i don't have to spend any money for this. @brown If money is the concern here, you can try your luck by taking part in giveaways held by us and many other blogs. In this way, you can get a free license of various softwares including Bitdefender.